If your cars windscreen is damaged due to a chip or crack, you should get it repaired as soon as possible. We follow Australian standards which permit us to repair car windscreen damage depending on the size and location. We always prefer to repair a damaged windscreen, but if the damage it too severe the only option is to replace the windscreen. We also repair damaged windscreens for other vehicles including trucks, vans, buses, coaches, excavators and other farm transport. Pretty much any vehicle. 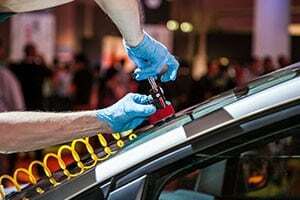 Once on site, our professional auto glass technicians will asses the situation and see if the damage is in fact repairable. 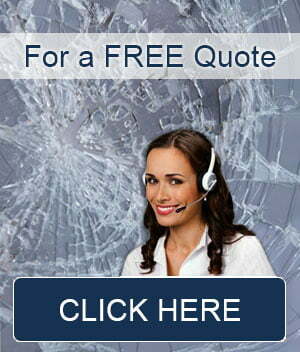 We prefer to repair damaged windshields as opposed to replacing them. This is due to the service being quicker for us and much cheaper for you. Whilst we provide our windscreen repair service as very competitive prices, you can rest assured that our quality is superior. We know that a faulty repair job could come unstuck and you cannot repair the same crack or chip in a windscreen more than once. For that reason you need to get the repair perfect first time around. With our years of experience in the industry we achieve just that. We repair chipped and cracked windscreens by first preparing the damaged area. We then use specialised glass equipment to inject a special resin under pressure that fills in all the vacant areas of the chip or crack. We then use an advanced technique to help the new resin bond and set within the existing glass. We perform this process with great skill and precision ensuring that your repaired windscreen is as good as new. Our windscreen repairs strengthen your windscreen back to Australian standards and we guarantee all of our work. or by using our contact form on this page.